Incredible Website Shows Amsterdam’s History Through 700,000 Pieces of Old Garbage « Adafruit Industries – Makers, hackers, artists, designers and engineers! Archaeologists had a unique opportunity to tell this story from the trash of Amsterdam. It began in 2003, when the city needed to drain and excavate one of its canal’s riverbeds for a new metro line. The digging turned up 700,000 objects covering the city’s seven-hundred-year history, with some objects dating from before the establishment of the city itself. 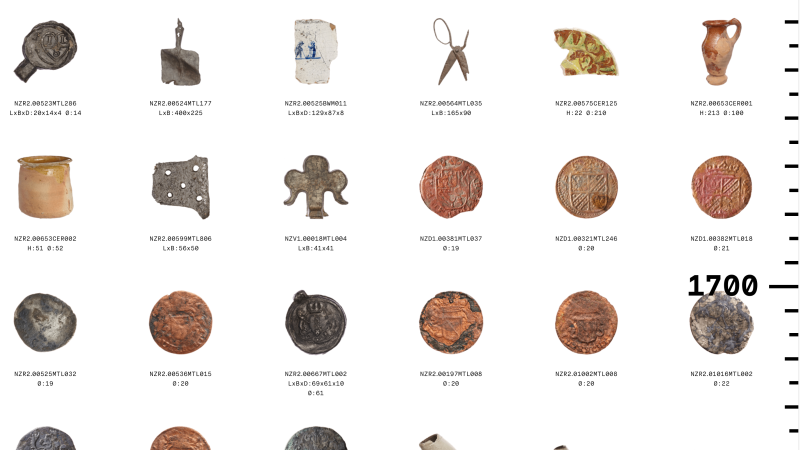 The project, Below the Surface, has now released a book, documentary, and website where you can look at a catalogue of the objects. “You can see a lot of different functions of this part of the city, which you can interpret from the waste we found,” project manager Peter Kranendonk told Gizmodo. Amsterdam was settled at the beginning of the last millennium after a major flood at the mouth of the river Amstel altered the surrounding landscape to make it a strategic location. It soon became a trading and shipping city, and urban development began in 1300. Through its storied history, it has become the largest city in the Netherlands. The Amstel river now ends into a series of 60 miles of canals before emptying into a body of water called the IJ. The city abandoned earlier plans for the North-South metro line due to public opposition, since other lines damaged part of the historic city center in the 1970s, according to the project’s website. The city council decided to build the current line in 1996, and excavation of two of the canals and their surrounding areas in the city center, the Damrak and the Rokin, began in 2003. Read more and check out Below the Surface!